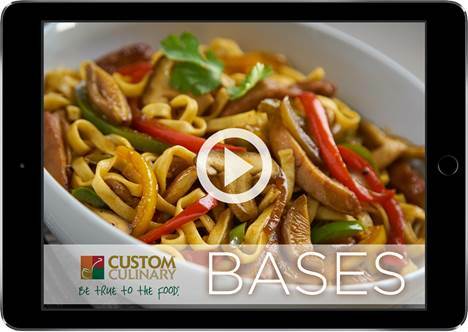 Custom Culinary® bases are truly best-in-class. From traditional paste and granular formats to our newest liquid concentrates and ready-to-use Asian broths, we offer an impressive selection of flavor-forward bases suited to every back-of-house need. Custom Culinary® bases are made with the finest ingredients, for quality and performance you can rely on. Chicken, beef and vegetable flavor profiles in a truly convenient format. Create rich soups, stocks and marinades in an instant—or pour on the flavor straight from the bottle, with no mixing required. Click here for more information on these new products! 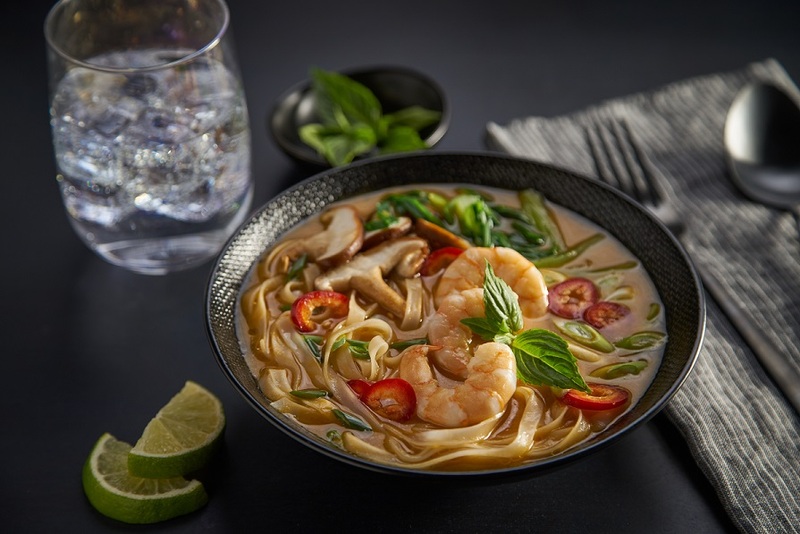 Bring on-trend noodle bowls to your menu without the time or labor required to make complex broths from scratch. Frozen ready-to-use format is easy to prepare, simply by boiling or steaming in the bag. These innovative bases were developed with the needs of both operators and patrons in mind, featuring clean and simple ingredient decks for incredible made-from-scratch flavor. Choice cuts of premium chicken, beef and garden vegetables are slow-roasted to deliver deep, intense caramelized flavor and aroma—creating a dining experience worthy of your most craveable dishes. Featuring well-balanced flavor profiles developed to taste, look and perform like scratch-made stock simmered for hours. Lineup includes meat-first bases, seafood, vegetable and low sodium options. Protein-based stocks highlighting well-rounded meat-driven flavors, with complementary herb and seasoning notes. Wide selection of varieties available, including low sodium options. Best-in-class meat-first varieties available at an excellent value. For quality and convenience at a great value, look to our granular paste and dry granular formats. Click the video to watch our Food Bases video! Delicious soups, braises and marinades start with a perfect base. 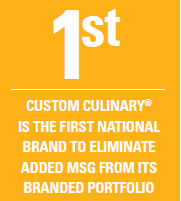 And with Custom Culinary®, the possibilities are endless. Our bases are easy to use across menu applications, saving time and labor while improving consistency in finished dishes. 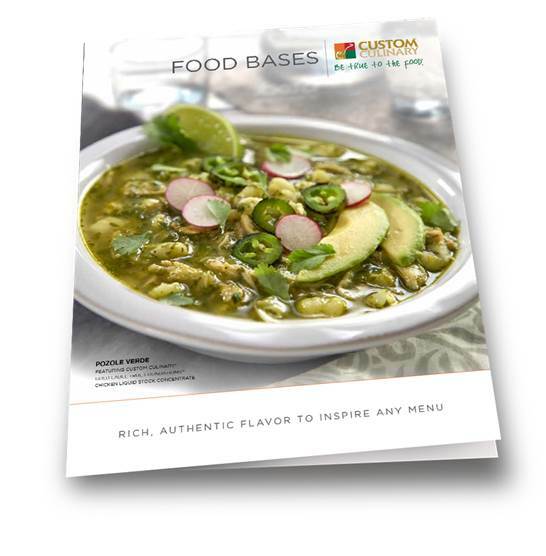 Click below to download our new Food Bases brochure for more information!